The Licko-Senjska region is located on a mountain plateau between Velebit Mountain in the south and the mountain massif of Kapela and Pljesevica in the east. 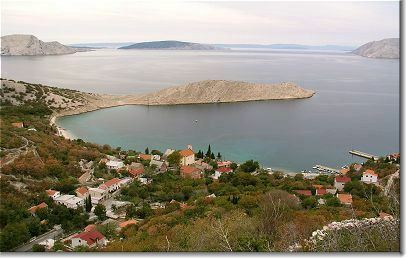 The county also extends to the coast and includes the northern half of Pag Island. The administrative centre is Gospic which holds little of interest to travellers and has become increasing depopulated since the Balkan Wars of the early 1990s when it was the site of brutal 'ethnic cleansing'. The geography of Licko-Senjska county is marked by the Gacka river and its basin which is a popular site for trout fishing. Otocac forms a perfect base for fishing the local waters and has a three-star hotel, the Mirni Kutak. From a visitor's point of view, the main reason to come to the Licko-Senjska region is to visit Plitvice Lakes National Park, a UNESCO world heritage site and one of Croatia's top sights. 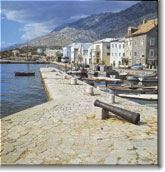 Another regional highlight is Senj, a town and port in the Velebit Channel. This unassuming town was an important centre to the Romans and remained integral to the Croatian identity through the Middle Ages. It was the headquarters of the fierce "Uskoks" of Senj who led assaults against the Turkish occupiers throughout the 17th century. The military importance of Senj is recalled in the medieval Nehaj Fort, built in 1558.